US Based sculptor Bob Causey is arguably the most prolific and talented sculptor of Superhero properties in the world. 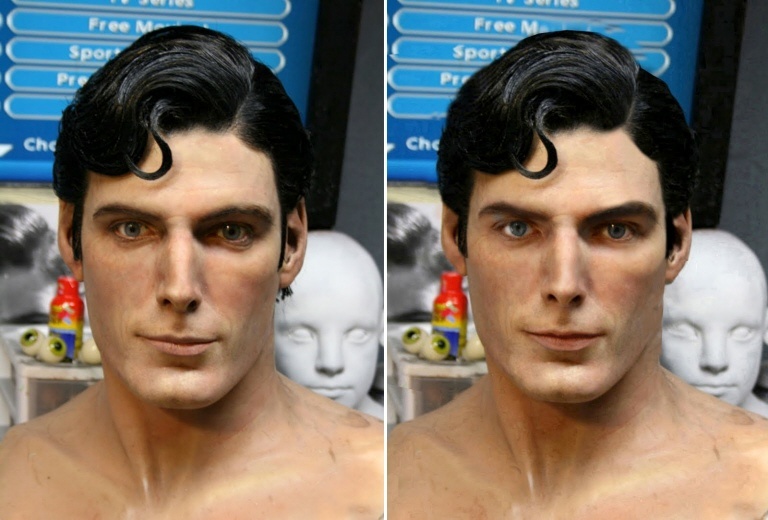 Having perfectly rendered in silicone everything from Ron Perlman’s Hellboy to Heath Ledger’s Joker, this is maybe his fourth attempt at capturing the iconic face of Christopher Reeve and apparently has gone one better and brought him back to life…! I don't know how these people do this stuff.